solution based on your actual needs. Our CARING APPROACH has won us MANY FRIENDS and AWARDS..... Hundreds of People Like You Trust Us to Sell their homes fast at the Highest possible Price. “I changed my agent to One Stop Property 3 months after deciding to sell my house. One Stop promised me a quick house sale, I was sceptical as the same property's on my estate have been on the market for some time. 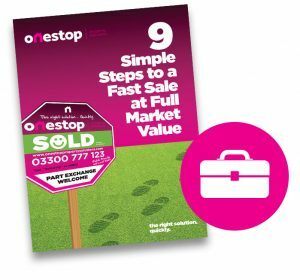 One Stop sent Craig who already had a plan to sell my house fast prepared along with 4 viewings before we even went on the market, on Day 8 the Property Was Sold At £5000 above the asking price. I'm am astonished at the work they have done, their customer service has also been outstanding. I will Never Use Another Estate Agents Again and neither will my friends and family. We recently purchased a house and One Stop were the selling agent. 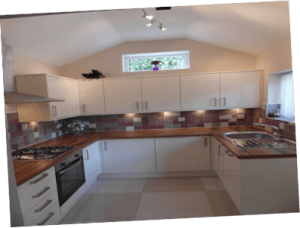 They were unlike most other Estate Agents that we have dealt with in that they actually care about both the seller and the buyer. Always honest and with excellent communication in terms of clarity and frequency. I’m sure that business must be good for them as they stand head and shoulders above their competitors. They deserve it. I would not hesitate to recommend them or use them myself for selling my next property. Lost faith in local agents. If a property is over-priced it will struggle to sell on the open market irrespective of what other marketing strategies an agent adopts. Our success shows that you will achieve a far higher price by marketing a property “priced correctly” and “honestly” at inception. Are We Your Perfect Match? Doesn’t sound like much to ask does it...well you’d be surprised in the world of estate agency. AVOID Dishonest inflated valuations by some other agents.....why not just be straight with people, treat them with respect. Our goal at One Stop is providing all our customers with exceptional value for money, that starts with pushing the sales price up to its absolute maximum, helping with issues post-survey, helping with the purchase of your new home, you name it we’ll help you with it professionally and swiftly. We put 100% effort into obtaining our customers the full value of their homes in the shortest space of time. We offer exceptional value for money as we assist with selling your current property at the highest possible price whilst actively assisting you with your new home as well. One of the major reasons why you may not have already sold your home is that you may have found yourself in the Local Estate Agency Trap. Normally, the longer a property languishes on the market the lower the eventual price will be obtained for the property. The vast majority of the time people will place their property on the market with the estate agent who was the most convincing and most likeable AND the agent who promises to get you the highest price. Estate Agent telephones property owner and suggests that they reduce the price of the property! In agreement with the estate agent, Property owner reduces the price of the property (again). Property Owner attempts to cancel the agreement with the estate agent due to a complete lack of service and zero results........only to find out that they now are legally obliged to give the zero service agent another 28 days notice !! Numbers of Buyers for Your Property. We recruit people with caring compassionate personalities, as we can teach sales skills but how can you teach someone to genuinely care about another person? Our customers are absolutely the 100% focal point of everything we do upon a daily basis. High Street Agents – Has anything really changed in over 100 years? Are they constantly in touch? Do they achieve the price they promise? 24/7 Office opening Guarantees that Your Buyer can always speak to a Friendly Team Member & Actually Buy Your Property Any Time Of the Day or Night. You can even visit our office at One Stop Property Solutions, 2 Gatley Rd, Cheadle SK8 1PY any time for a great Estate Agency service! High-Quality Professional Photography & 2D/3D Floor-plans place Your Home in Its Best Possible Light Guaranteeing You Large Numbers of potential Buyers. Caring & Highly Trained Friendly Staff Help You Achieve a Quick Sale at The Highest Possible Price. 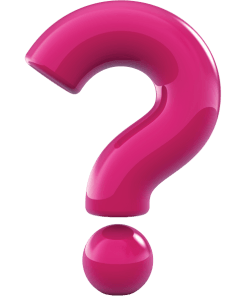 High St Agent - Lack of communication – I never hear from my current Agent! The main reason why customers choose us whilst having sampled the services of another agent is simply that they do not hear anything from their agent in-between any viewings and haven’t a clue about what they’re doing behind the scenes to achieve a sale. If you aren’t currently receiving a steady stream of viewings, do you hear from your agent every week with an update and fresh ideas? One Stop Approach- Pro-active, consistent communication Our customers love the amount of contact they receive from us, as they receive regular consistent updates in addition to receiving a weekly review of progress. This ensures that at every stage of our customers' relationship with us they are fully aware of everything we are doing to create a sale. One Stop Approach - Proven track record –Swift sales @ Full Value We work tirelessly to achieve you the absolute best result in terms of an acceptable price and the ideal timeframe for you and your personal circumstances. Our track record is second to none as we place you our customer right at the heart of everything we do. Across a large geographical area, our average time to sell is below 12 weeks which is significantly less than the average time a high street agent takes to achieve a sale. One Stop - An Honest Valuation (always) – Mutual Respect & 100% Customer Focus We guarantee that to the best of our ability we will be 100% truthful in terms of our valuation even if it means that we don’t win your business initially. 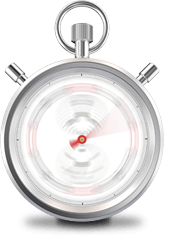 This has been the bedrock of our success as it guarantees that we achieve full market value sales within a relatively short space of time, thus saving you time, stress and money. We as a company find it totally disrespectful and wholly unacceptable when Valuers from some local agents tell mistruths simply in order to tie you into a legally binding contract. We do not employ Valuers with historical track records. 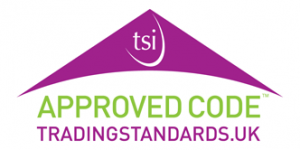 One Stop - Short term contract – 100% Confidence in Our Service We believe firmly that we should be paid purely upon real results and be confident that you can achieve what you promised within a relatively short period of time. This is why we only tie customers into a 3 month period. One Stop - Open All Hours to Sell Your Home Our approach is that we feel we should open to serve our customers at any time to suit them, we’ve sold properties at 10.30pm on a Saturday evening!. We guarantee that you will be able to speak to a member of our team whatever the time of day or night there will always be someone available to help you and importantly your potential buyer! 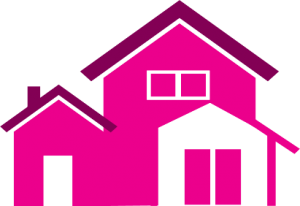 High St Agent - Sales falling through In the majority of high street agents offices the salesperson who sold your house will normally then proceed to project manage the sale through to completion. This is an old-fashioned approach which tends to result in a lack of communication coupled with the increased risk of your sale falling through. We’re all human after all, if there is a sales call to answer to make another commission, will they take the call or spend lots of time chasing solicitors for updates, will they have or take the time to help you understand the process fully? One Stop - Dedicated sales progression service We very quickly learnt that an exceptional agent truly earns their fee post offer acceptance, the majority of the work actually occurs post agreed sale and this is where we excel. This part of the process can be by far the most stressful and this is where we literally hold your hand all the way through to the end ensuring that you have a min of two team members constantly updating and chasing solicitors etc for updates. When a survey comes back with major problems, we are here to help and guide you. High St Agent - Local branches – Poor results 90%+ properties are sold purely via the internet, high streets in towns are becoming ghost towns, people lead busy lives and don’t have the time to go and sit in a small office for several hours, they prefer to search for their homes in the comfort of their own homes. 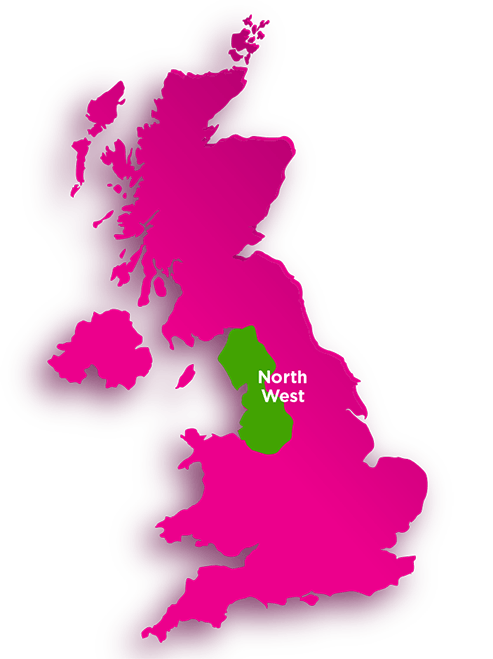 One Stop - 100% Regional Coverage – Proven Results We have team members throughout the North West of England and pride ourselves upon providing a very high level of service which is effectively why we win so much of our new business from local agents. Please see our reviews, the majority of these people tried a local agent first and then came to us out of sometimes desperation. Quick Cash Buying Company’s - Their cash offer will often be around 70%-80% of the true market value. 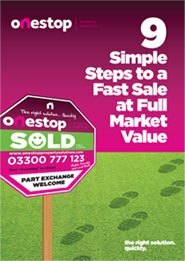 One Stop - The Truth – You Can Obtain The Genuine Full Market Value Very Quickly (1-3 weeks time-frame) - The truth of the matter, in reality, is that a good agent like ourselves can achieve a far higher figure (20%+ more on average) in a very short space of time, we have literally sold properties to cash buyers in hours rather than days or weeks. In exchange for a competitive fee, you can achieve a much higher amount for your property in the same if not less amount of time than trying an unregulated cash buyer. Quick Cash Buying Co’s - An Unregulated Industry – No Rules to Protect You – Some cash buying co’s are NOT REGULATED and therefore you have absolutely ZERO PROTECTION from unscrupulous practices. One Stop - We are Regulated by the Property Ombudsman Service which ensures that you are fully protected in all your dealings. Quick Cash Buying Co’s - No Interest in Getting You the Best Price – Their sole goal is to obtain the property at the cheapest possible price, there is no compassion or interest with regards to what is in your best interests. One Stop - We are 100% Focussed on Helping You Our Customer – Read our reviews and compare them to the bad press in dealing with cash buying companies. You have little/no protection when dealing with these companies. You Are Just A Number to Them – Their marketing attracts a lot of enquiries and they will simply make you a low offer over the phone and hope that you are motivated enough to accept such a small amount. Quick Cash Buying Co’s - Sales Falling Through due to price changes at the 11th hour, the company’s buying policy changed etc..
One Stop - Majority of Sales Proceed – By maintaining a high level of communication upon a weekly basis the truth of the matter is that a professional property business like ours has very few sales that fall through, less than 5% per annum. ONLINE AGENTS **BEWARE** Cheap fees – Cheap service? If a business needs to attract a massive number of new customers just to simply stay afloat what do you think may happen to their service level, will you just become a small fish in a very big pond, are you just a number on a spreadsheet. One Stop Approach - Competitive Fee – Premium Service (More money in your pocket) We treat our customers extremely well and we also achieve the highest possible prices for their properties, therefore we are 100% confident that we ultimately put more money back in our customer's pockets in addition to helping them save money when buying their new homes. One Stop Approach – Pushing for the best price for your property – every time. 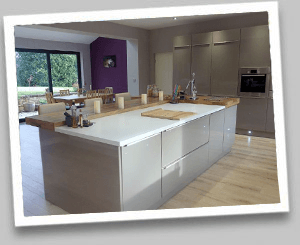 We pride ourselves on doing our absolute best to obtain you the highest possible price and our sales team are incentivised to push past a minimum objective price ensuring that you always achieve the highest possible price. How much money do you think that could save you.....£3,500? £15,000?..... Well above the difference in the fees between an online agent and ourselves. One Stop Approach – Working together to achieve you a full value sale - We get Paid when you get paid - We only get paid when you have accepted an offer that works for you and upon full legal completion of the sale, therefore we are 100% focussed upon one thing and that’s achieving a full value sale as quickly as possible. 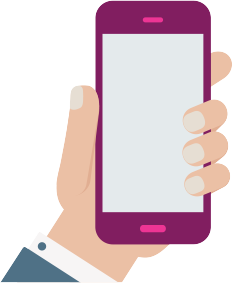 ONLINE AGENTS – Low level of service = Poor Results – By charging a very low fee it means that they are forced to sell an enormous number of properties, could this lead to a low level of service? One Stop Approach - Fabulous Service – Great results – We are absolutely committed to providing all our customers with a very high level of service placing our customers at the very heart of everything we do. This ensures that you achieve a higher price with confidence that you will be helped through every stage of the process. ONLINE AGENCIES – Hidden Fees Please be careful as some online agencies have hidden fees that aren’t apparent initially. One Stop Approach – 100% Transparency We pride ourselves on making all our fees fully transparent prior to engaging with any of our customers. Upon receipt of the photographs and the floor-plans we get straight to work creating an attractive advert that will attract your perfect buyer and ultimately obtain you the highest possible price for your property in the shortest amount of time. Once you have approved the marketing material then we go to the next stage and push your advert live on the internet. Your property will go live on our website, the portals, social media and your unique For Sale board will be erected at your property. This will be located in a prominent position subject to highways laws & regulations etc and any personal preference you may have. We pride ourselves in ensuring that we work tirelessly to achieve the highest possible price for your property, we use advanced negotiation techniques not commonly utilised within the estate industry to drive the ultimate sale price to its absolute limit. Once you are happy with an offer, your property becomes marked as "under Offer" or in some circumstances SSTC (Sold Subject to contract). Most prospective buyers will instruct a RICS surveyor whether or not they are utilising the services of a mortgage company. This is the time where an exceptional agent really earns their money, the way in which the survey results are handled is absolutely critical, we are extremely proactive and work hard to protect our customers position once survey results are back. With some agents you will be left to fend for yourself and this can be an absolute minefield, this is where the majority of house sales fail. We have a tiny fail rate approx only 5% of our house sales fall through. With our help and guidance you select & instruct a Solicitor who will act on your behalf handling the legal conveyance process. The buyer also instructs a solicitor to act on their behalf and the legal process can then begin in earnest. At the outset we all agree a timescale that you're happy with so that we are all working towards the same goal. We then closely monitor and manage you, your Buyer, both party's solicitors and the mortgage advisor for the Buyer (if they are not a cash purchaser). Both you and your Buyer will receive an update at least once a week, if not more often. This in turn ensures we get you through to exchange and completion speedily and efficiently. 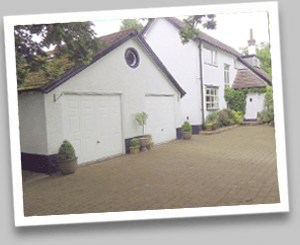 The solicitors will proceed to exchange contracts and complete on the sale of your property. Simple Steps to a Stress-Free Sale.